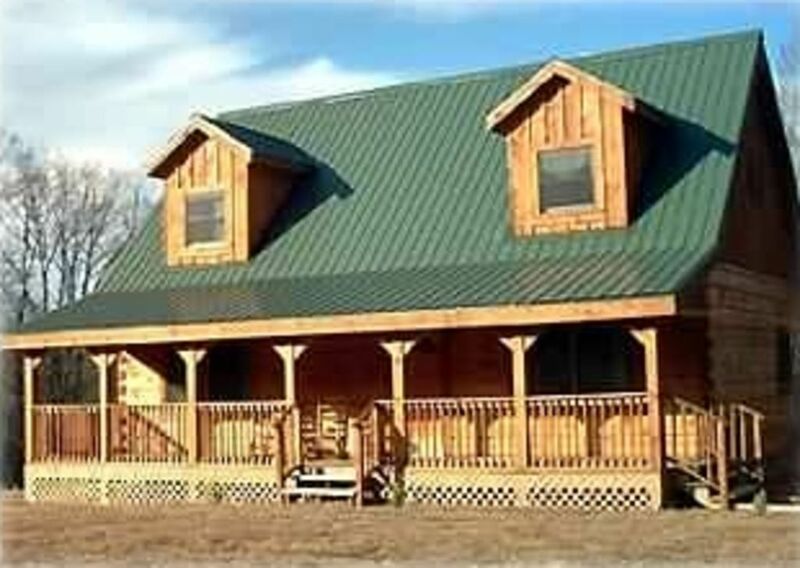 Webb's Hideaway is located about 15 minutes NE of Gatlinburg. This is a Non-Smoking cabin with a Hot Tub is located at the end of the road for privacy and convenience. It is a big property, so volleyball or a touch football game can be in your vacation plans. It can accommodate six people in two big bedrooms and a loft. It is located just 15 minutes from downtown Gatlinburg. Talk about a handy location. The main bedroom is furnished with an antique iron bed. When you get up in the morning you can be inspired by the mountain views right outside your window. The kitchen is fully-equipped and has a full-size washer and dryer. Just outside is one of two spacious porches perfect for relaxing. The back porch has a Hot Tub to relax in after a day of shopping or hiking. The living room is big and sunny. The satellite dish beams down your favorite sports or maybe that old movie you've been meaning to cuddle up to with someone special. It was a great cabin that wasn’t too far away from Gatlinburg. It only took maybe 15 minutes to get from the cabin to Gatlinburg. We really loved the view from the front porch. We watched wild turkeys every day. Would like to rent this cabin every year from now on. Sorry that you did not read the very first line of the description which clearly states the cabin is 15 minutes from. Gatlinburg. Everyone else takes only the 15 minutes. We do not expect you to do all of the laundry we just ask that you start the first load. We do provide the laundry detergent for this plus enough for you to do some of your own laundry. This is not a hotel room, so yes we do want you to clean up after yourselves by washing what dishes that you used..
View was great. Shower was nice and so was the hot tube. The location was good in the middle of no where. You can hear everything in the cabin. If you sleep on the first floor you hear everything above you. View was good. Overall was a good experience. Lady bugs were bad though. overall the stay was very peaceful and beautiful. The inside jetted tub jets would not turn on. I notified the manager the second day, but they were unable to get it repaired prior to our departure. This cabin was very beautiful. More space than the pictures can portray. The view is beautiful and we even seen some turkeys! Convenient to everything. I really enjoyed not being near all of the crowds but still close enough it didn't take all day to get to. The big yard is wonderful too! Can't wait to stay again. The view is spectacular. We spent a lot of time in those rocking chairs. So convenient to everything (the Citgo can make a mean pizza). Cabin was very clean and furnished with everything you need. No winding roads to get to the cabin. Will definitely book again. Cancellation Policy: Cancellations must be made at least 30 days prior to the arrival date in order to receive a refund of the deposit less a $50.00 cancellation fee. If cancellation is less than 30 days prior to the arrival date the full amount will be forfeited.